In the tab with your signature, press Ctrl-A - this will select your entire signature and prepare it to be dragged into GoDaddy’s email signature window. Note: Mac users will use Command-A. 1. 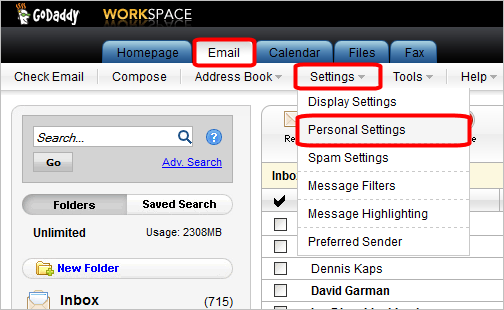 From GoDaddy’s WORKSPACE, click the Email Tab, then click Settings and pull down to Personal Settings. 2. 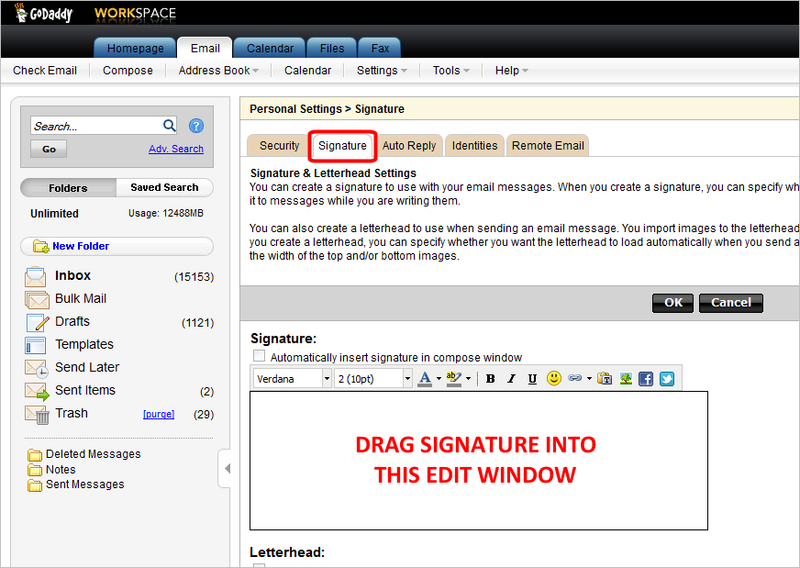 Click the Signature tab and drag your signature (previously selected) into the signature edit window. 3. 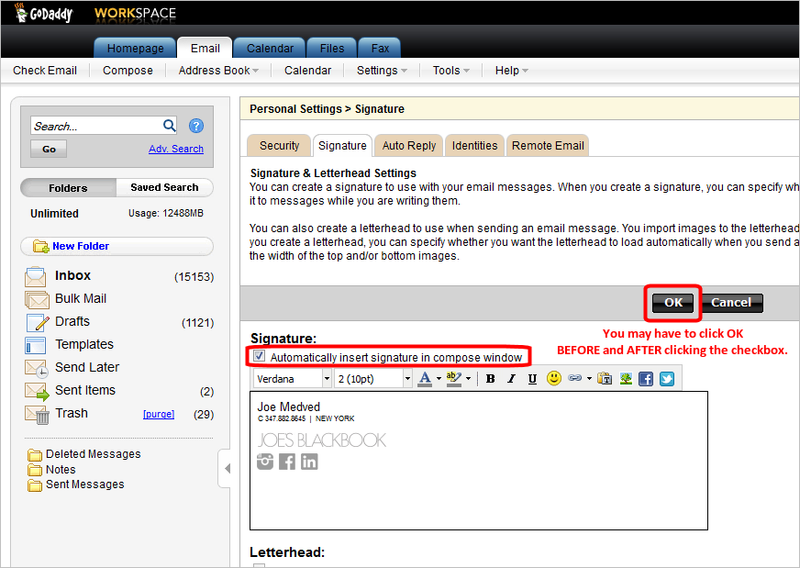 Click OK, then check the checkbox that says “Automatically insert signature…“ and then click OK again. That’s it, you’re done.